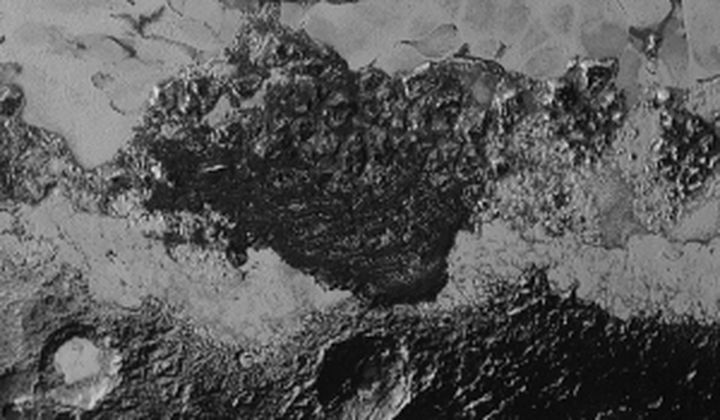 New Horizons has been taking some well-deserved downtime after its breakneck fly-by of Pluto and its moons on July 14. It’s been trickling data back slowly, and today the mission team finally released some incredible new images. The photograph at right shows a varied landscape; from the caption: “The image includes dark, ancient heavily cratered terrain; bright, smooth geologically young terrain; assembled masses of mountains; and an enigmatic field of dark, aligned ridges that resemble dunes; its origin is under debate.” View more here.